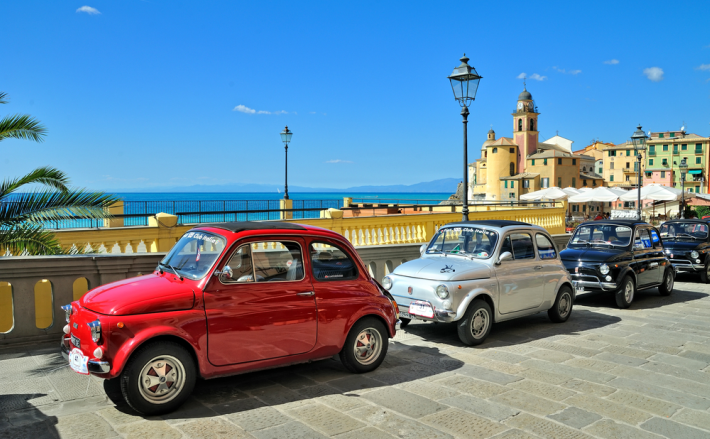 Many British people making the move to Italy find it possible to leave the stress of careers, mortgages and council tax behind them and start a new life in Italy on quite a modest budget. It’s not only the house prices that are favourable, in many Regions the cost of living is significantly cheaper than the UK, especially in rural areas where there are also fewer temptations to spend money. Shop for less in Italy. In Italy, a couple can expect to spend around €79 (£68) per week on food and cleaning products using a supermarket such as Eurospin. With over a thousand stores across Italy Eurospin is known for its low prices and is similar to Lidl and Aldi. Browsing the Tesco UK website today I made a shopping list of 17 items from their cheapest range and set off to my local Eurospin to compare the prices. After converting the currency and adding up the two lists I was amazed at the difference. My £30 Tesco’s shop only costs £19.60 in Eurospin. So, on a weekly shop you could possibly save over £20. That’s enough for two large pizzas and drinks at a pizzeria with change left over. My Italian shopping basket cost a third less than in the UK. If you avoid the main tourist streets, you can have a meal in a restaurant for less than £14 (€16.44) per head. Many restaurants do main courses for between €8 and €12. Desserts are usually €3.50, a 66cl bottle of beer €4 and one litre of house red is just €3. 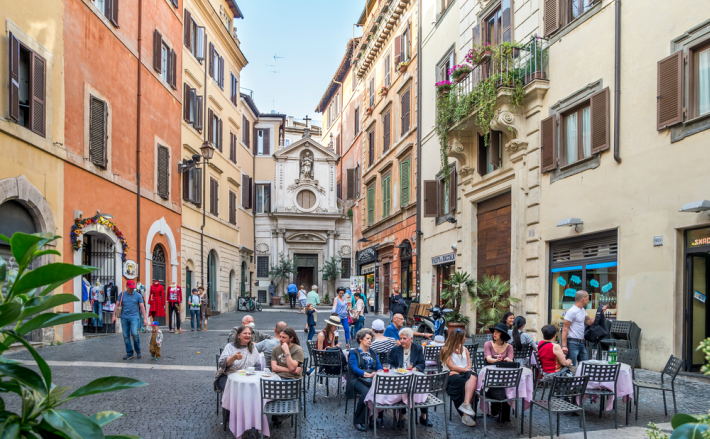 Even in towns and cities that attract a lot of tourists, if you stroll down a side street, away from the main piazzas, you can still find well priced restaurants. If you see a lot of Italians sitting at a restaurant it is usually a good sign. Always ask to look at a menu and check the prices and service charges before sitting down. Also, look at the drinks prices, as it is often those that add up to a lot on the final bill. It is fun when the waiter invites you to choose a fish, but be careful not to get carried away. The price is likely to be per kilo, so always ask how much it is going to cost before the chef chucks it on the grill. Eating out in Rome. Boris-B / Shutterstock.com. You will find many pizza takeaway restaurants where you can get a large Margherita for €4 and a pizza with various toppings for up to €6. Some also sell kebabs for €4.50. Takeaways are also a good place to buy cold drinks. A small 33cl bottle of beer is usually €1 and a 66cl bottle is €2. A can of soft drink costs about €1.20. Sip a Cappuccino at a street café for just €1. Second-hand cars are expensive, and you should always ask other expats for recommendations for the best car salesmen in your area. After a lot of shopping around we actually found our nearest garage was the best value and gave very good after-sales service. Living in the countryside and having pets, an estate car is very useful. We bought a 2007 Mercedes Benz Elegance estate, for €6,400 (£5,454). If you just want a small car for getting around town, our local garage is currently advertising a 2007 Fiat Punto for €2,500 and a 2003 Renault Clio 1.2 for €2,800. Then you have the second shock. The car insurance. For the Mercedes was €1,256 (£1,070) a year, from Aviva. This was taking into account three years “no claims” in Italy. They won’t take into account any no claims you accrued in the UK. Road tax depends on the size of car, but a 2.2 litre diesel costs us €245 per year. We also pay €70 for an MOT every two years. Currently the price of fuel is €1.21 per litre for diesel and €1.41 for petrol. A small fiat is perfect for parking in town. If you are living in an Italian property as your main residence the good news is that you don’t pay any Italian council tax. Even on second properties it is not very high compared to the UK. There is, however, a land tax and rubbish collection tax. On our eight acres it’s about €180 per year. Gas – The price of gas central heating and hot water is about €80 per month for a two-bedroom property and €100 for a three-bedroom house. Wood fire – If you have land with a lot of trees and you don’t mind doing some pruning and logging, you can save a lot of money by having a log burning stove. We have a large wood burner which heats two water tanks, one for radiators and the other for hot water. Electric – Between €70 and €120.00 per month for a three-bedroom house. Gas bottle – A gas bottle for the hob of a cooker costs €21 and lasts about three months. Mobile phone – The minimum mobile phone tariff is €10 per month. 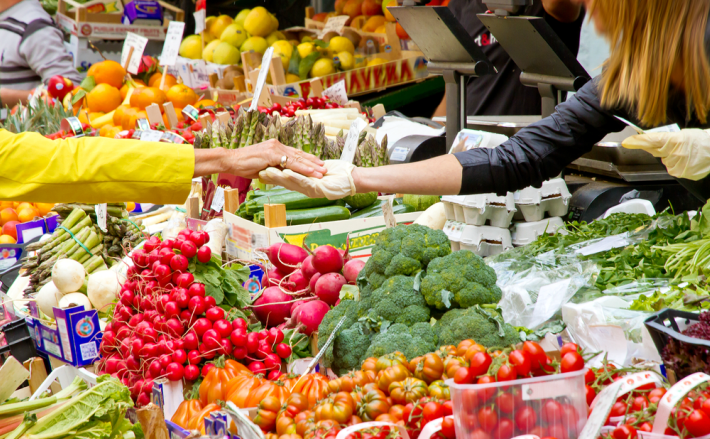 Prices vary greatly depending how extravagant you are with your consumption and the rates in your local area, of course. 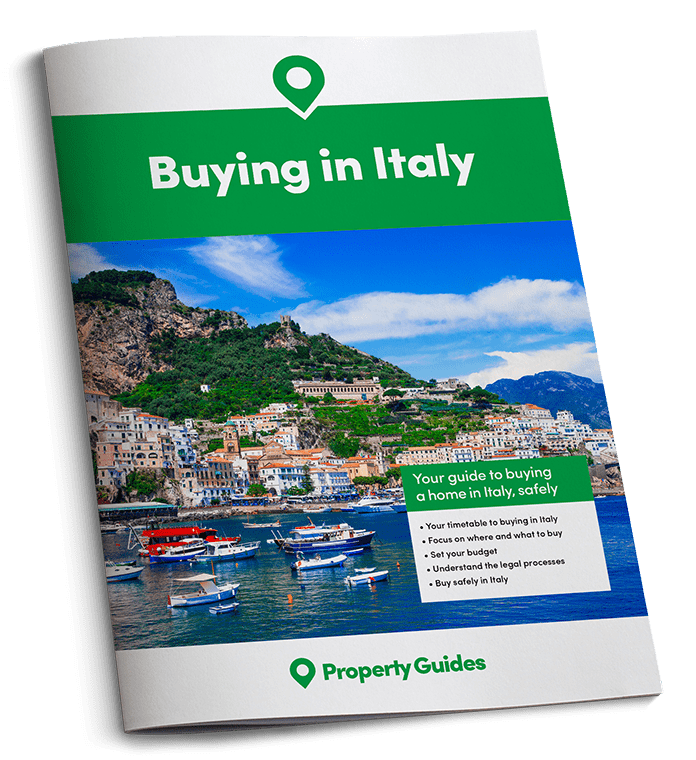 When comparing properties to buy in Italy it is also worth comparing the running costs of each property. Solar panels, artesian wells and a supply of wood are all going to save you money in the long run and taxes are generally cheaper in the countryside. Note: The price conversions were done using the convertor on http://www.smartcurrencyexchange.com/ on 15th September 2016 when the exchange rate was at £1 = €1.18. Prices quoted are given as a rough guide only and are based on enquiries made in my local area of Puglia, Italy and are subject to change. Major cities, tourist areas and Northern towns may be more expensive.